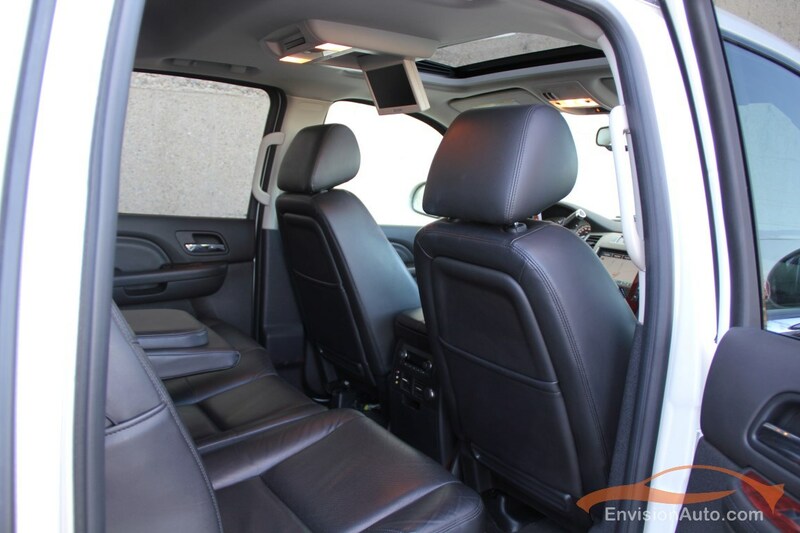 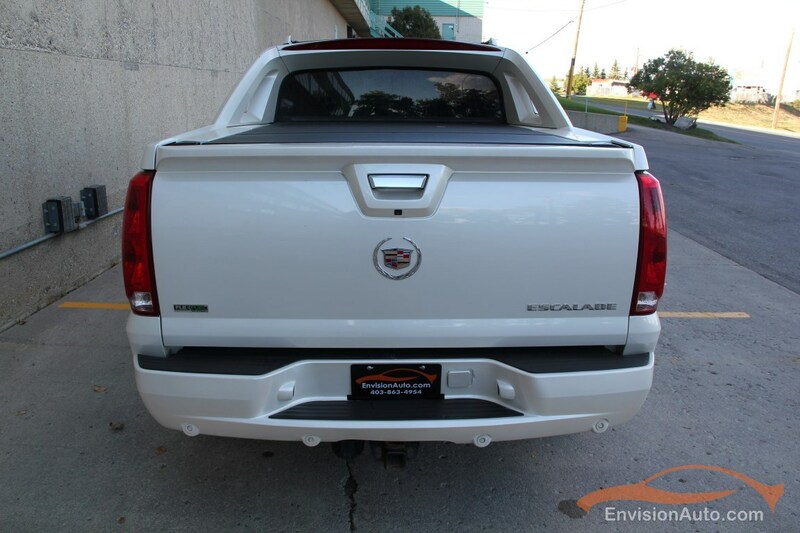 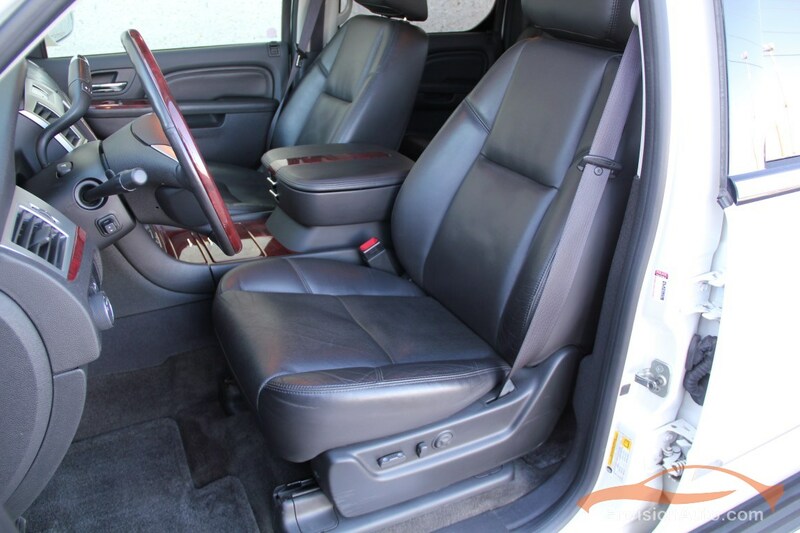 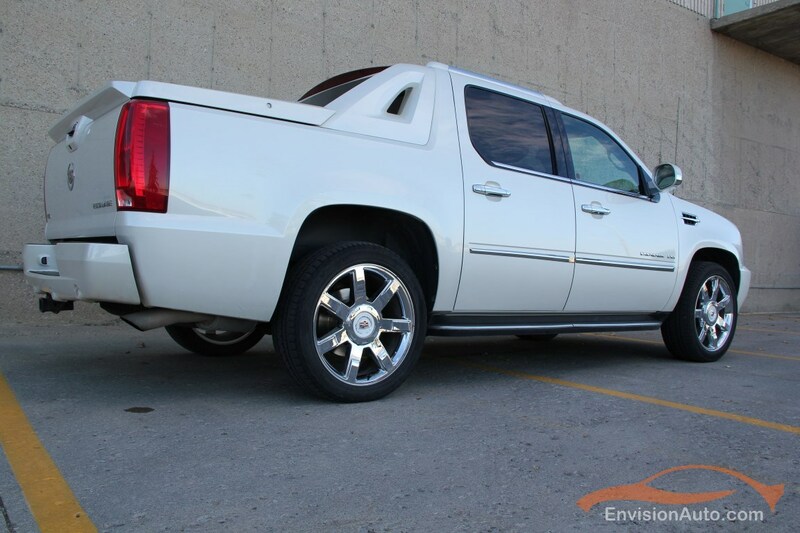 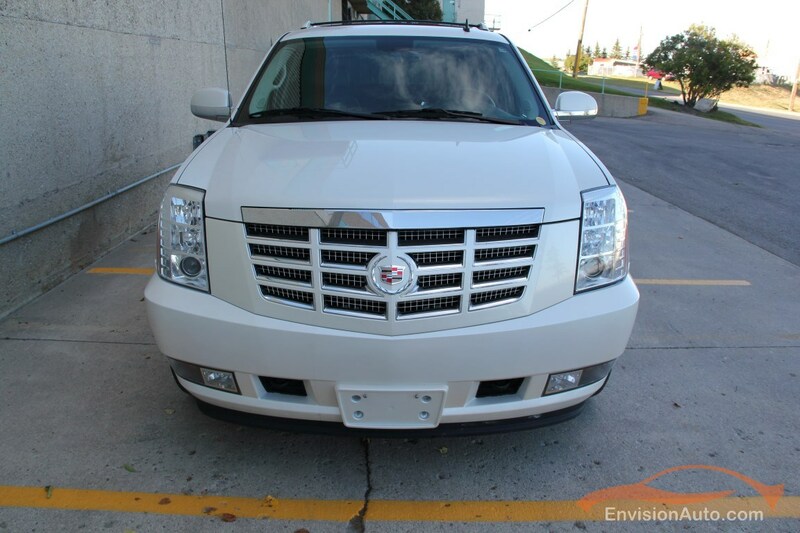 More Details : – Single Local Calgary Executive Owner – Sold & Serviced at Jack Carter in Calgary Since New! 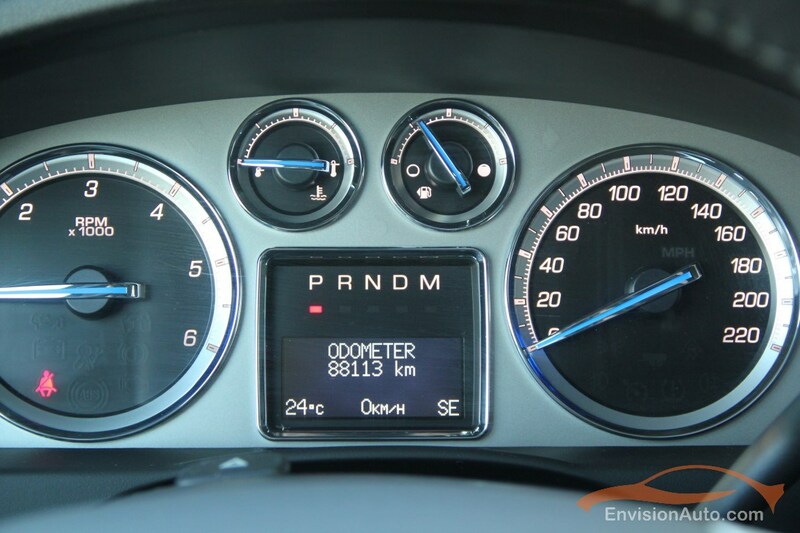 Only 88,000kms and complete factory powertrain warranty in effect until either June 30th, 2015 or 160,000kms! 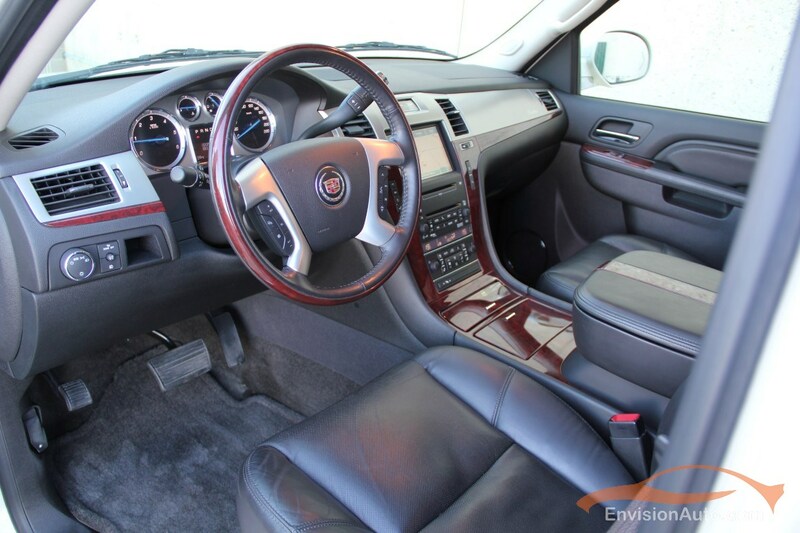 This 2010 Cadillac Escalade EXT All Wheel Drive has absolutely zero negative history of any kind – no accidents, CarProof Verified – 100% factory original paint on every body panel, never smoked in, never abused and absolutely as well cared for as you will find on the market today. 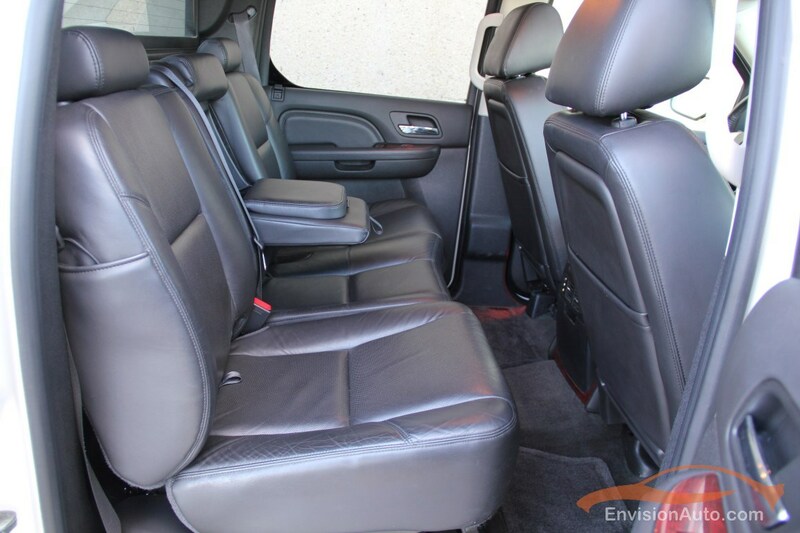 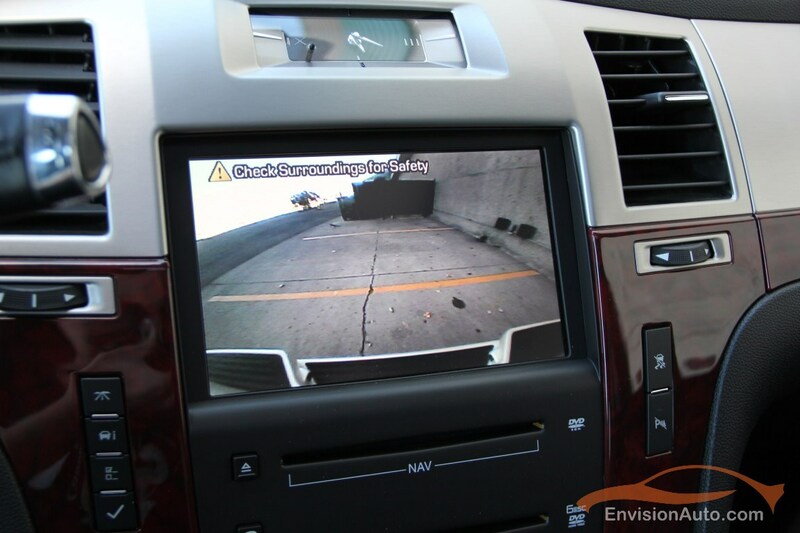 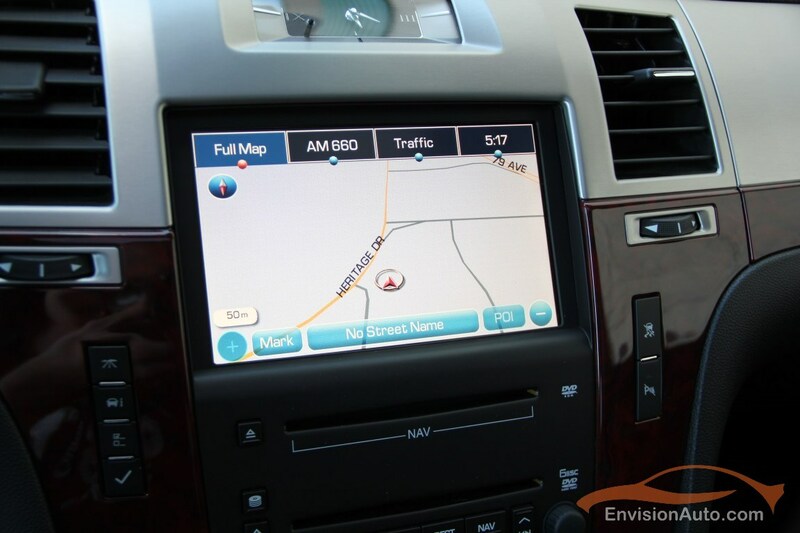 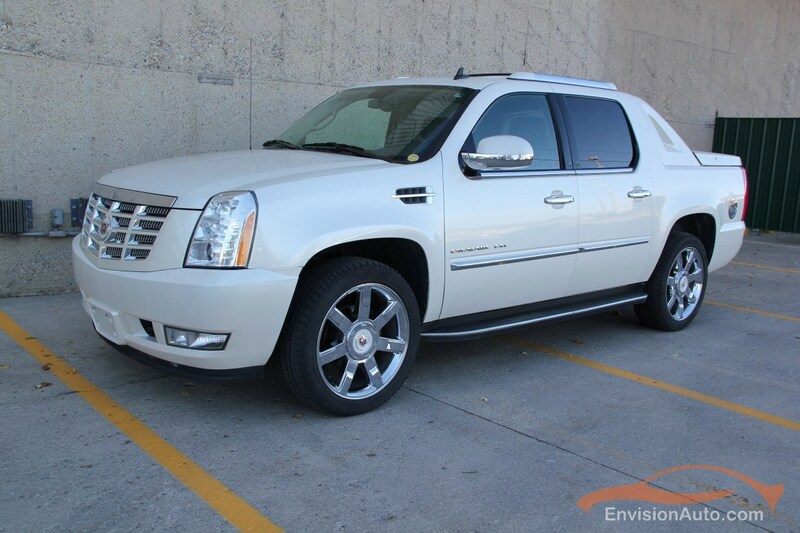 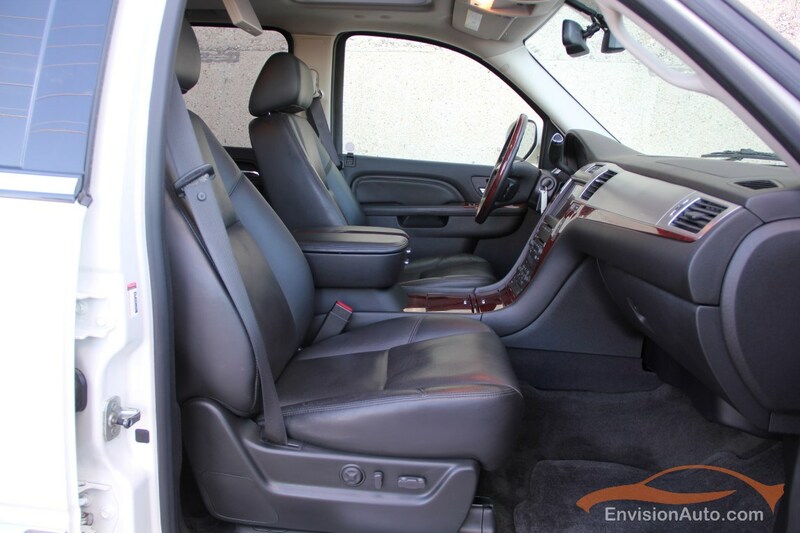 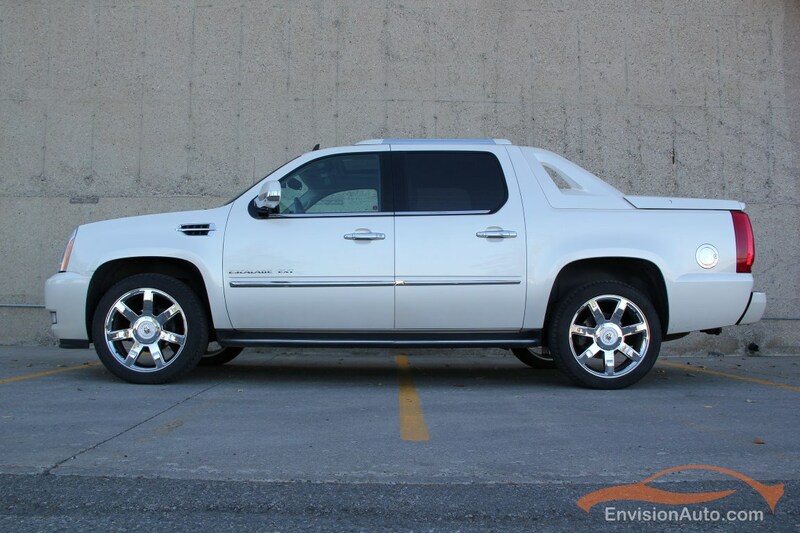 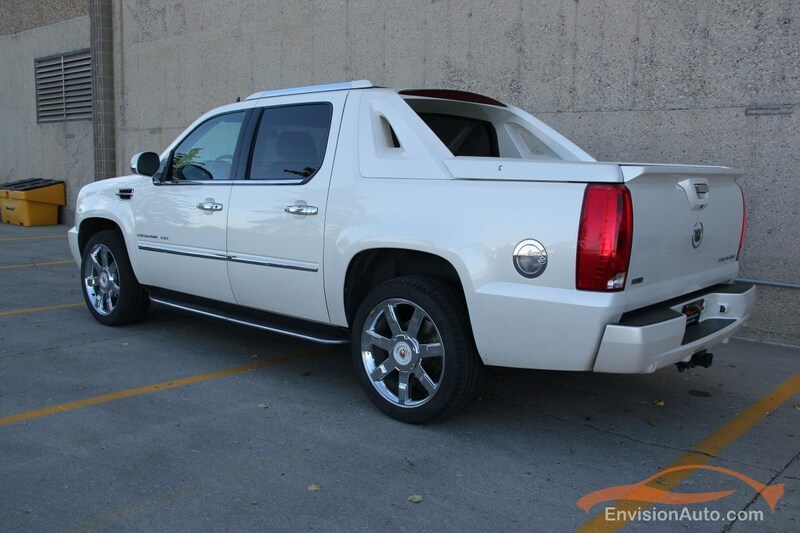 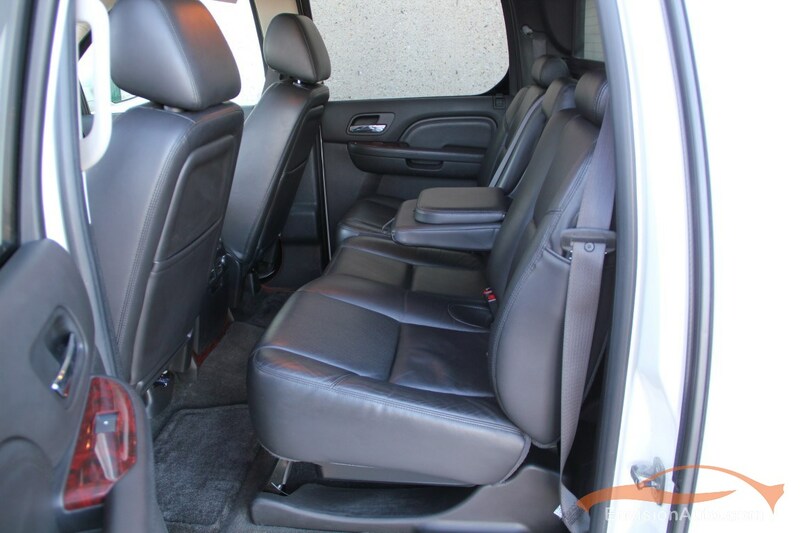 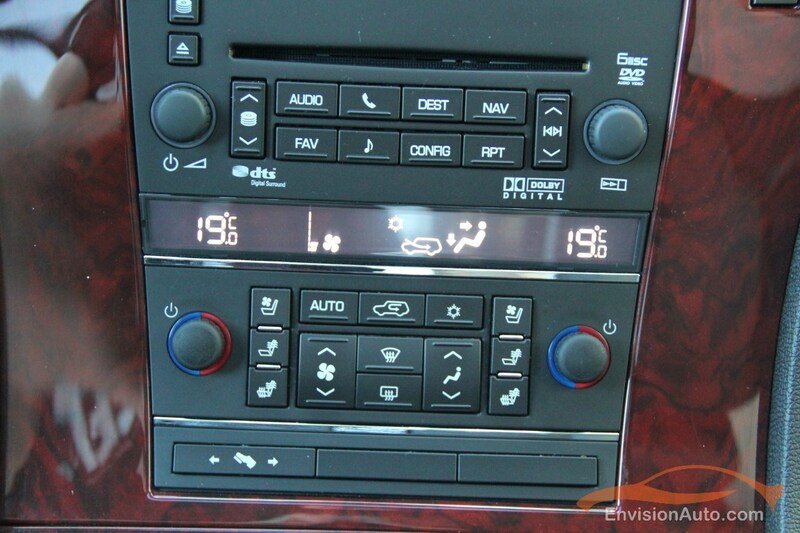 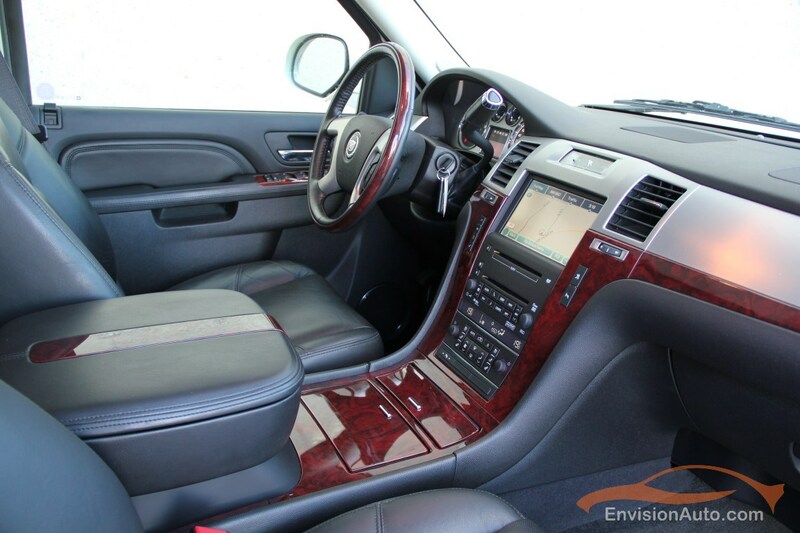 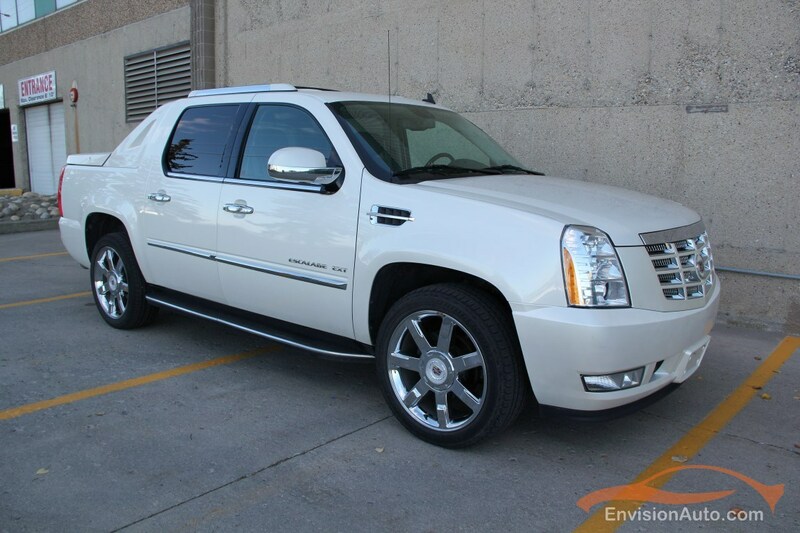 Forget about short listing this Escalade, hands down this is ‘the one’ to own. 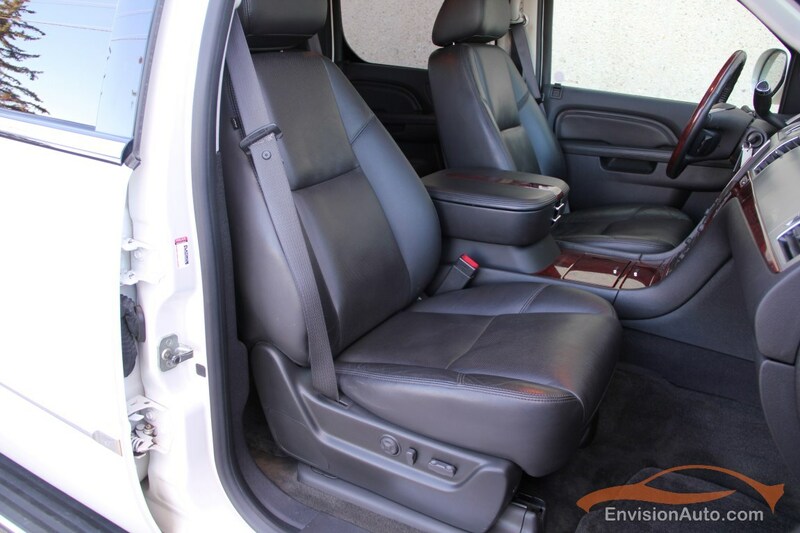 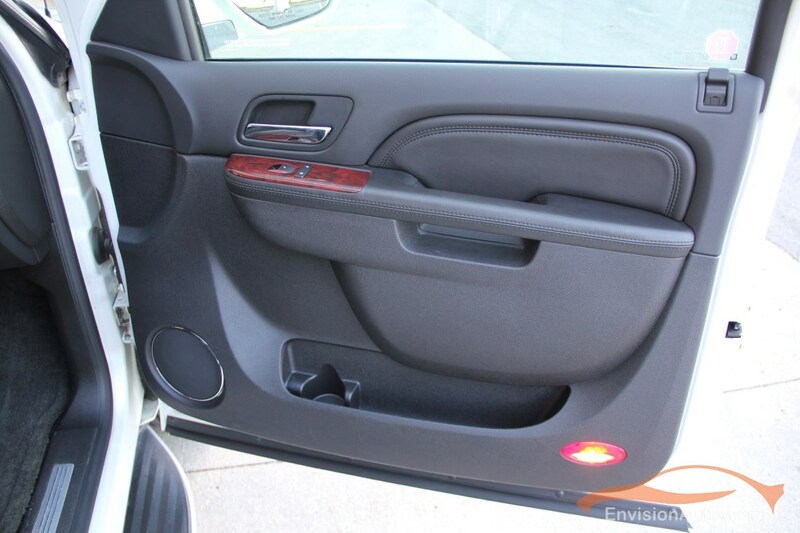 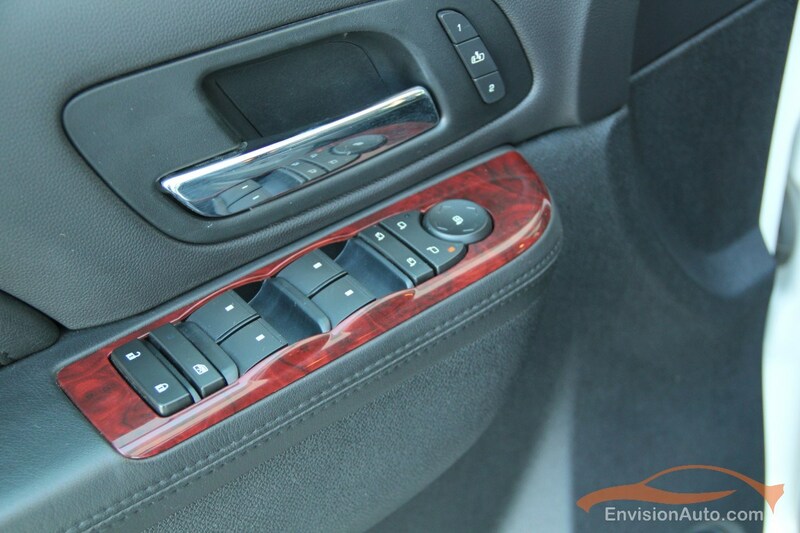 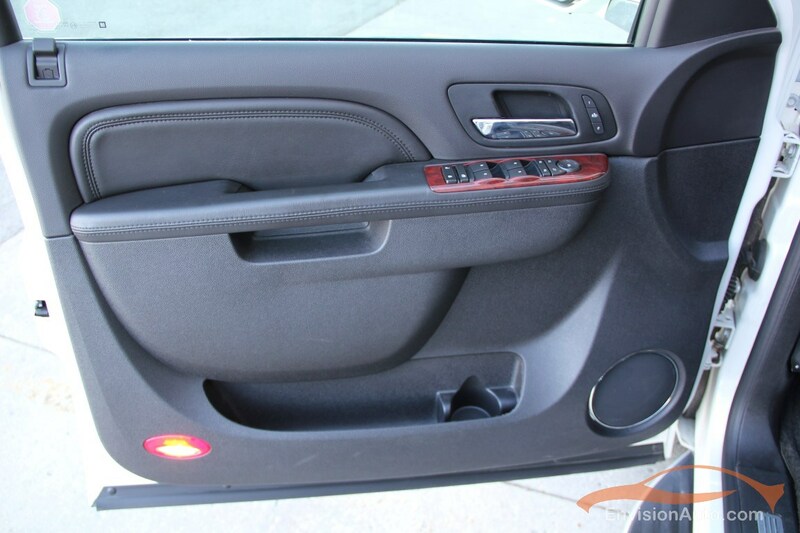 How you see this EXT represented in the photos is how the previous owner cared for and kept it – zero reconditioning, zero detailing, what you see is the condition it was kept and traded in as! 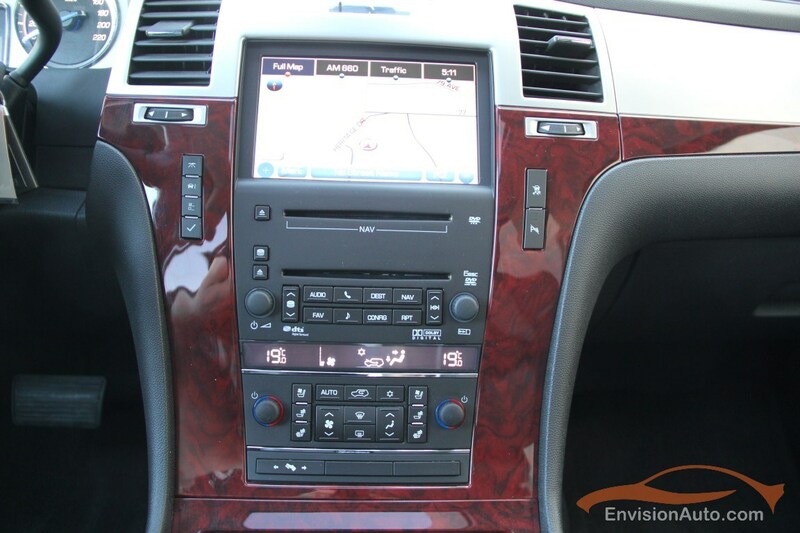 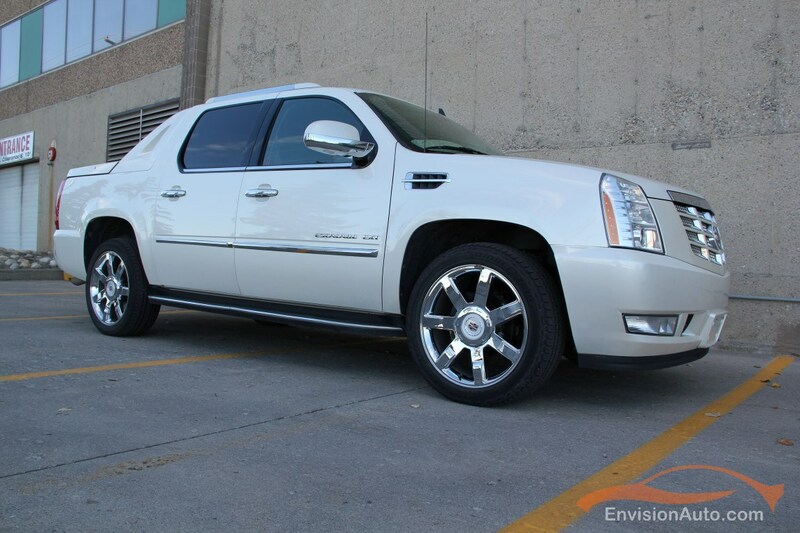 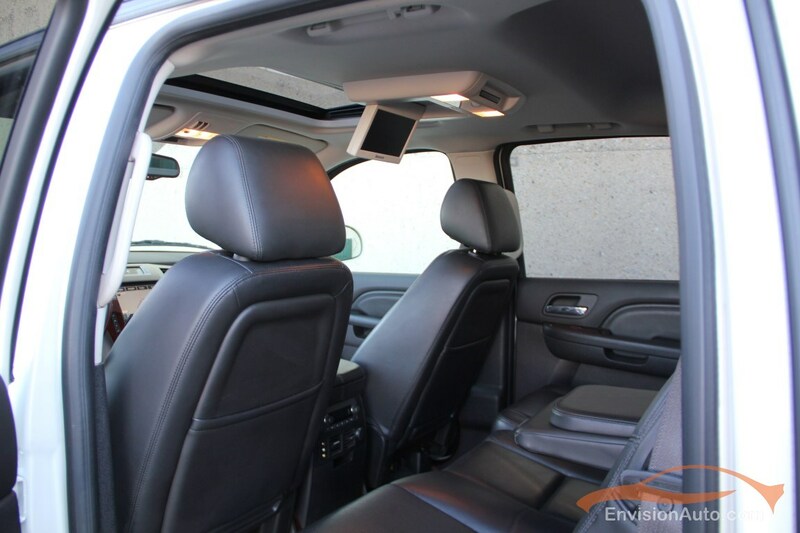 Ultra Luxury Collection and loaded to the MAX – 22in Chrome Wheels, Power Sunroof, Heated and Cooled Front Seats, Heated Steering Wheel, Magnetic Ride Control, Rear DVD Entertainment Package, Navigation, Reverse Camera, Park Assist Sensors – if you are looking for options, this Escalade has them all!! 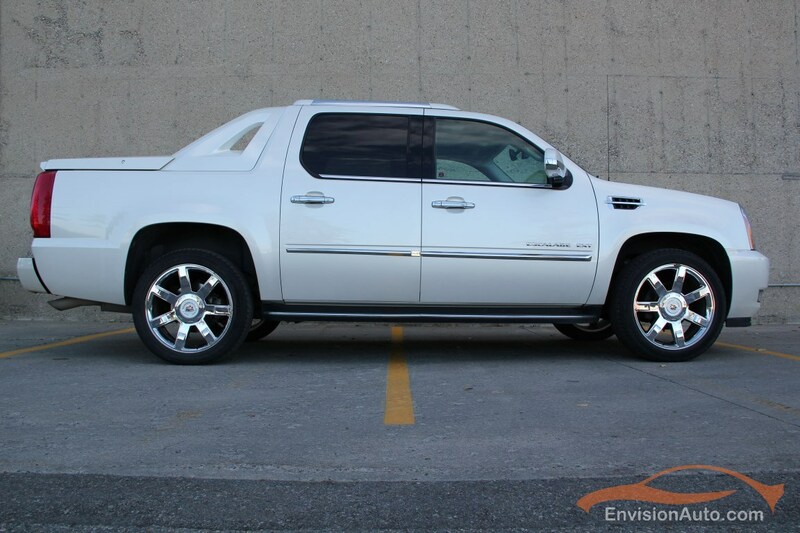 Color: Pearl White Ext w/ Black Leather Int.